Sometimes I think of how wonderful it would be to live in a different era. 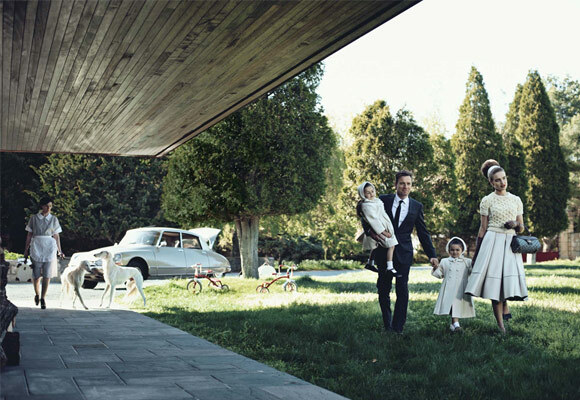 Thanks to the July issue of Vogue, I was taken away to the 1950s. Peter Lindbergh you are amaze at photography. Oh, and can Ewan McGregor please be mine? I know my birthday isn't till August........but I just couldn't resist not getting this dress. To me it just looks like the perfect dress to wear on my birthday. I'm so glad I got it! 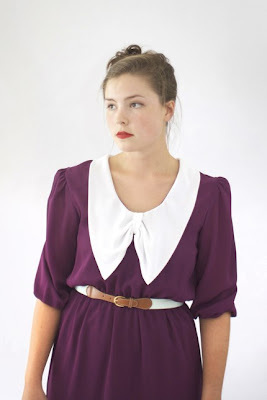 Go look at Fine & Dandy's etsy shop if you like cute vintage dresses as much as I do! I got a job up in the Salt Lake Area for at least a month. I have loved it soooo much because after I get off work I call up my good friendsies that have decided to move there. We roam the city and eat at yummy restaurants and sometimes hang out in cute parks. Sometimes I wish I had a boy to take all these cute places to. Basically the moral of the story is I am having a fun summer. Highlight of my week was sitting around the reflection pool at the SLC temple. Jess decided to throw in coins and make some wishes. I decided to document it. I love my life. I love my family. I love my Friends. Summer has gotten the best of me. So much, that I have forgotten to blog. Like going to the hospital cafeteria....or making late night runs to Del Taco.....oh and listening to awesome friends play music in my living room. Pearl got a cute little elephant from the quarter machine at Del Taco. And then she ripped his eyes off. Poor Elephant. Some of my recent musical treats have been Norther, Cody Rigby, Emily Brown, Scott Shepard of Book on Tape Worm, Mark of Parlor Hawk, and the amazing Tyler Glenn of Neon Trees. I feel like a lucky girl for getting into such a good house show. My own personal house show with only close friends. I love me some carousels and ferris wheels. Luckily I got to go to Lagoon, the amusement park of Utah (is there more?) with a bunch of friends on Friday and was able to endulge on a bunch of rides. We had the whole park to just ourselves and other overstock.com employees and it was amazing not having to wait in any lines! Thank you Jessica for the invite love. Next on the list of to do's for the summer: go to a local water park, and have a picnic on a mountain.